The following questions have been compiled from the most frequently asked questions we've received. If you have a question and you can't find it below, then by all means let us know. - Do I receive any tickets by post? - When can I see the ferry departure times? - Can I book our bus to Mersing here? Or a private vehicle, such as a car, an MPV or a van? 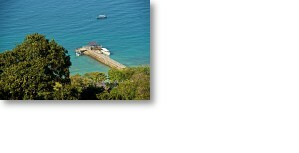 - Can we book our Tioman hotel or resort online direct? 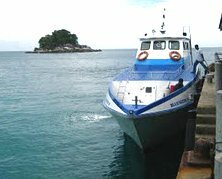 - How much do I pay for a round-trip ferry ticket from Mersing to Tioman? - Do I qualify for a group discount? - I'd like an invoice for my purchase. Can you provide me with one? - What does it cost to pay for my tickets by PayPal? - Is booking online safe? - If I miss my ferry, can I get the next one? - Can I reserve my tickets by phone? 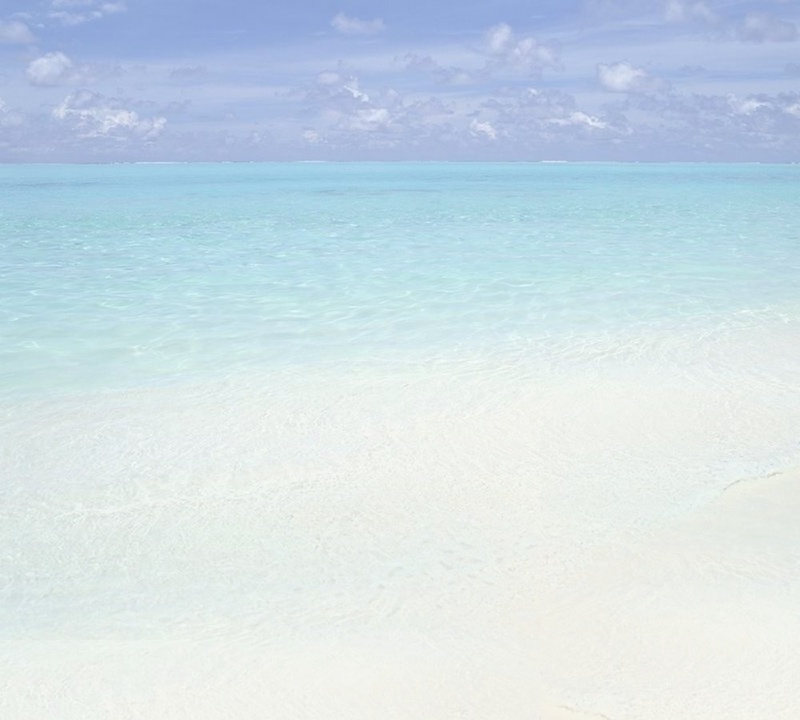 - I want to book an outward journey with 2 people and a return journey with 1 person. Can I? - Do I get a refund if we need to cancel our trip? - How early do I need to arrive prior to departure? - I need one-way tickets only. Where can I get these? 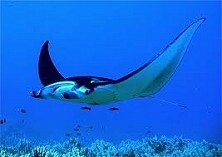 - We're flying into Tioman. How do we collect our tickets? - Is there any parking in Mersing? - If I arrive at Mersing Harbour Centre early, will I be allowed to board early? - How do I know where to disembark? - Do our children get charged a lower rate? What if they sit on our lap? - I get seasick easily, is there another way to get to Tioman? - Are there toilets on board the ferry? 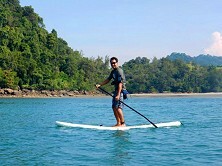 - Are there any restaurants on Tioman? 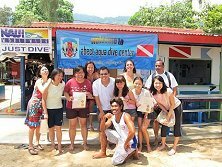 - Do the people on Tioman speak English? 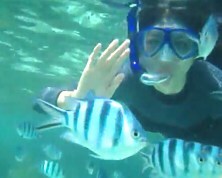 - Do they accept US$ on Tioman? - Should we need to stay overnight in Mersing, are there any hotels, banks, shops, etc? 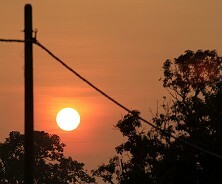 - If we need to spend a night in Mersing, can you suggest a nice affordable hotel? 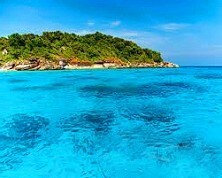 - Can I depart to Tioman from Tanjung Gemok after I booked for Mersing? 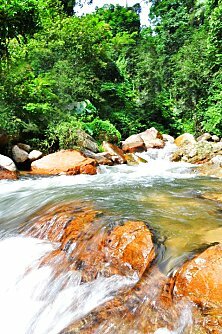 Tioman is a beautiful, exotic, yet affordable holiday destination, a short hop away from Kuala Lumpur and Singapore. Lately, it's also been riding a wave of popularity amongst young European holiday-makers, the result of the various "Survival" and "Expedition Robinson" type reality shows being recorded in the Tioman vicinity for years. With this in mind, to avoid disappointment, yes, it's advisable to book in advance. This applies to your bus tickets to Mersing, ferry tickets and your Tioman accommodation, particularly, during weekends, school holidays and public holidays, especially in light of the record-breaking numbers anticipated for the 2019 Visit Malaysia Year. NOTE: Since Berjaya Air suspended its Singapore to Tioman operations, in March 2014, the Mersing to Tioman ferry has been running at full capacity, particularly during weekends, school holidays and public holidays. N.B. Please also note that, by law, the maximum number of passengers on the ferry is limited to the number of seats/matching number of life-jackets. In other words, once all ferry seats have been reserved, the ferry is considered fully booked and no further tickets can be sold. There are no standing-room only tickets. Do I receive any tickets by post? No. Once you have made a booking you'll receive an on-screen booking confirmation with reference number, which will also be sent to you by email. The booking confirmation will have all the necessary customer service contact information in case you have any queries or would like to amend your booking. Simply hand this in on your arrival at the port, together with a photo ID, and you will be given your tickets and boarding passes. Please note that we also send you the ferry departure time schedule for the current month, as well as our Mersing Harbour Centre Hotline number. You can call this number at any time to check for any departure time updates. Click here if you'd like to receive your tickets by registered mail. Where and when can I see the ferry departure times? As exact departure time is subject to tide and weather, our passengers are advised to refer to our exclusive Mersing Harbour Centre Hotline number. You can call this number at any time for your latest weather and ferry departure/return time updates. In addition, all our travelers will receive the latest ferry schedule once tickets have been reserved. You can also refer to our website news page and Twitter account for the latest updates. Can I book our bus to Mersing here too? Or a private vehicle if we prefer this? Yes, conveniently, you can book your entire trip from this one-stop platform, right here on our website. Click here if you want to book your bus tickets to Mersing. You can book a passenger car, MPV, van or minibus here. Can we book our Tioman hotel online here too? Yes, you can. Click here to book your room online. In our experience, Agoda has the lowest room rates online. 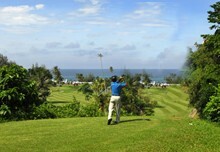 And they offer a very wide variety of hotels, resorts and retreats in Tioman, from budget, right up to exclusive. How much do I pay for a round-trip ferry ticket from Mersing to Tioman? A round-trip ticket from Mersing to Tioman and then back to Mersing is US$25 (or SGD$35 if you prefer Singapore Dollars). Please note that starting September 2013, the Johor authorities levy a RM 20 toll per Tioman traveler, to be paid at the Johor administration counter before boarding the ferry. Also, if you want to get your tickets at the counter in Mersing just before departing, then you pay just RM90. Do keep in mind that availability might of course be an issue when you buy last-minute. Do I qualify for a group discount? Yes, if you order in excess of 30 tickets, you pay just S$27.50,- per round-trip ticket. I'd like an invoice for my purchase. Can you provide me with one? Yes. Your PayPal/credit card transaction qualifies as an invoice. You can print out this screen and archive it for later use. What does it cost to pay by PayPal? If you prefer paying by credit card, you don't need to use PayPal. But in any case, using PayPal is 100% free of charge. Yes, online credit card payments are fast, safe and secure. In fact, PayPal now has over 200 million active accounts worldwide. If I miss my ferry, can I get the next one? Yes, your tickets are open tickets. This means you're not bound by any particular departure time, i.e. you can take any ferry that's convenient for you, subject to availability of course. If you're worried about your accommodation booking, let us know. We'll liaise with your resort or booking platform, such as Agoda.com if this is where you booked your room, to help you retain your room reservation or perhaps get a (partial) refund. I want to book an outward journey with 2 people and a return journey with 1 person. Can I? Yes. Simply select your dates and 2 one-way tickets and proceed to the payment page. Once payment has been completed, you can go back to the reservation page and select your dates for the remaining one-way tickets. Just leave the other date blank. Once payment has been completed for these one-way tickets, you're set. Yes, you can. But by booking your ferry tickets online you can avoid the telephone booking fee, saving you a minimum of S$ 5 per ticket. Do I get a refund if we need to cancel our trip? Yes, as long as you cancel your ferry trip outside the 10-day notice period as of your departure date, we'll refund your money. Please note that you'll be charged S$5 administration fee per ticket. Please also See our Terms and Conditions for more details. How early do I need to arrive prior to departure? Given that there are a number of outside factors that could influence ferry departure time, such as wind, weather and sea state, we recommend that you arrive at Mersing Harbour Centre at least 1.5 hours before ferry departure time. How long does the ferry take to get to Tioman? Depending on the tide and the general sea conditions, the trip takes about 1.5 - 2 hours. I need one-way tickets only. Where can I get these? Please proceed to the one-way tickets reservation section. We're flying into Tioman. How do we collect our tickets? If you can't collect your tickets at our Mersing counter because you're flying into Tioman, just let us know. You can collect your tickets at the Tioman Airport upon your arrival. The details will be sent to you in a separate email once you've made your ticket reservation. 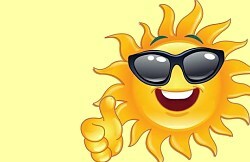 The monsoon months are the windy months, the time of year when wind and weather is rather severe and changeable. On a particularly windy day, the ferry operator may be prohibited from running for that day altogether. Should this occur, your tickets will remain valid for the next available ferry. Yes, there is a fenced car park, that's manned by security, right next to the ferry departure terminal. The parking rate is about RM15-RM18 per day. Should the car park be full, then just call either of the two phone numbers in our confirmation email, because they belong to a private car park close to Mersing Harbour Centre. If I arrive early will I be permitted to board early? As part of safety concerns, passengers are not permitted to board the ferry before official check-in time. As a guideline, boarding time is 30 minutes before departure time. Please arrive at the terminal 1 - 1.5 hours before departure time to collect your tickets and boarding passes. Passengers with new-born babies, pregnant passengers or those on crutches, in a wheelchair or accompanying elderlies may, on request, board early. How do I know where to disembark? The names of the destinations (the various villages) will be announced about 5 minutes before reaching the destination in question. This is the usual order of the stops on your way to Tioman. Please ask the crew if you're not sure where to disembark. Do our children get charged a lower rate? What if they sit on our lap? Tickets for adults are the same price as tickets for children. There's no need to pay for your infant, however, if it's below 2 years of age and can be carried on your lap. I get seasick easily, is there another way to get to Tioman? Yes, you can take a plane. Berjaya Air flies to Tioman from Singapore and KL. The take-offs and landings are a bit hairy, but it's fast and quite comfortable, albeit it a little costly. Check the Air Berjaya website for more details. (NOTE: Berjaya Air has announced it has suspended its flights to Tioman indefinitely - Ed.). Are there toilets on board the ferry? Yes, the ferry has two toilets, right at the back of the cabin. Are there any restaurants on Tioman? Yes, Tioman is peppered with simple little eateries that sell decent meals, usually Malay dishes. Some Western food, like sandwiches and french fries can also be found. If you're not used to spicy food, then just ask the staff to go easy on the chilli. Do the people on Tioman speak English? 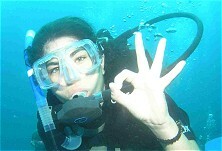 Yes, most of the staff working on Tioman can communicate in English. Do they accept US Dollars on Tioman? Yes, but you're not likely to get a very good exchange. You're better off changing your foreign currency to Malaysia Ringgit on the mainland. Should we need to stay overnight in Mersing, are there any amenities? Hotels, banks, supermarkets etc? Yes, in Mersing town, about a 15 minutes’ stroll from the main ferry jetty, you'll find banks, ATMs, internet cafes, supermarkets, all kinds of shops and hotels too. If you need a room, you can book your Mersing hotel online. Click here to check availability and to make your reservation. If we need to spend a night in Mersing, can I book an affordable hotel? Yes, you can. Just click here if you want to make an online booking. Your room will be confirmed on the spot. Can I depart to Tioman from Tanjung Gemok after I booked for Mersing? You may. Because our tickets are valid in Mersing and Tanjung Gemok. That is, provided the Tanjung Gemuk ferry isn't yet fully booked for your date of course. Just call our Mersing Harbour Centre Hotline number if you've decided to depart from Tanjung Gemuk instead of Mersing. We'll try to amend your booking. Please note that the ferry does not run from Tanjung Gemok during the monsoon months (December - February). Yes, the ferry carries life jackets in the open overhead compartments. N.B. Please note that, by law, the maximum number of passengers on the ferry is limited to the number of seats and matching number of life jackets. In other words, once all seats have been reserved, the ferry is considered fully booked and no further tickets can be sold. There are no standing-room only tickets. Can't find your particular question here? Just ask us. Tip: Looking for a cheap way to get to Mersing before catching your ferry to Tioman? There are various bus and coach options on our Mersing bus and coach page. You can book your tickets real-time. Your seats are confirmed immediately. And you can even see where the bus departs and what time it departs.